Warts are benign growths that occur on the skin. 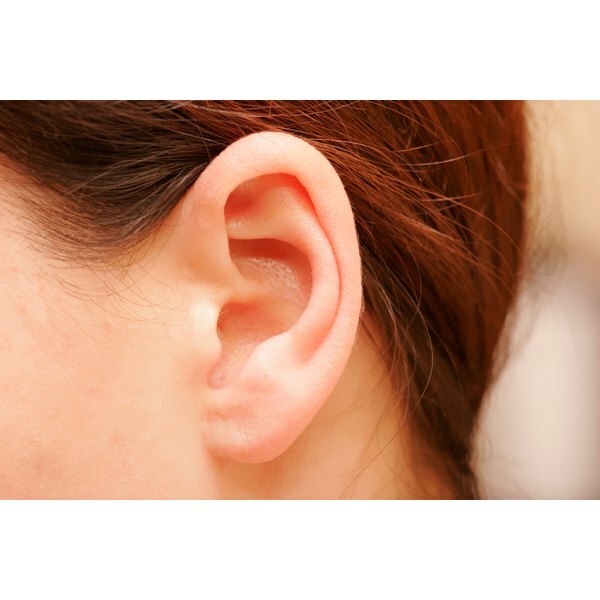 Although the earlobe is not one of the most common locations for warts, one type of wart, known as a seborrheic wart or a senile wart, can be found on the ear. If you develop a growth on your earlobe, talk to your doctor or a dermatologist to make sure that it is not a cancerous growth. The external ear, which includes the earlobe, can develop a number of different benign epithelial tumors. The only one that is sometimes classified as a wart, however, is seborrheic keratosis or seborrheic wart. This type of wart is usually flat and has a light-brown color. It is made from skin cells that grow abnormally quickly. Other growths that can resemble warts include atheromas and granuloma fissatarums. It is not exactly known what causes seborrheic keratoses to form, although they are fairly common and are more likely as you get older. Genetics appear to play a role because these warts can run in some families. You may also be more likely to develop warts on your earlobe if your earlobes are exposed to ultraviolet light or the skin is infected with the HPV virus. Another possible risk factor for earlobe warts is high levels of estrogen, notes a 2008 article in the journal "Head and Face Medicine." As with any skin growth, there is always a concern that what appears to be a wart on your earlobe is actually a cancerous growth. In general, dermatologists can distinguish seborrheic keratosis from cancerous growths by looking at them, but the wart may need to be biopsied and examined under a microscope to ensure that it is not cancer. If an earlobe wart is becoming painful or is otherwise bothering you, there are many ways to remove it. With cryosurgery, liquid nitrogen is applied to the wart which freezes it. The wart will then fall off after a few days. Another option is electrocautery and curettage, in which electricity is used to burn the wart. The burned tissue is then removed with a sharp, curved blade.